It’s pretty delightful that these days you can download your favorite ditties straight to your phone and carry around your entire music catalog in your pocket, but there’s still something special about the ritual of dropping a needle onto some wax. Hearing the familiar pop, click and hiss before the first track starts playing is a blanket of nostalgia that wraps cozily around your shoulders. Saturday is Record Day, and take that inspiration to go old school and browse through the stacks of a record store. Also, take a peek at our suggestions for both classic and new records to add to your collection. The digital music industry has made record stores as rare as video stores, but these Atlanta staples hopefully aren’t going anywhere. 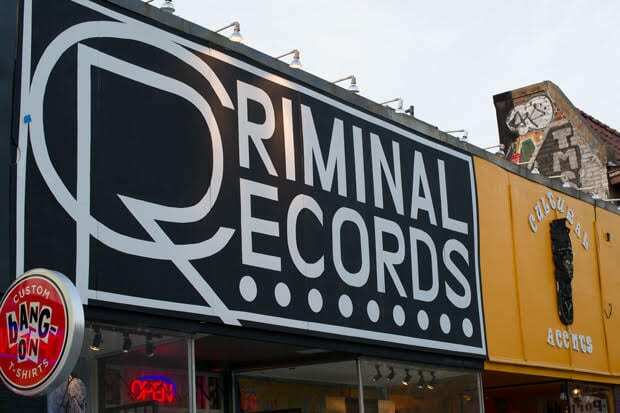 Part record store, part comic book store, there’s a reason why Criminal Records is popular among music shops in Atlanta. The knowledgeable staff and never-ending events calendar keep patrons coming back week after week. You can frequently visit without ever having the same experience twice, as its new releases section is just as expertly curated as its classics. From Lil Yachty to Led Zeppelin, Little Richard and Lizzo, Criminal Records has it all. Don’t miss the photo booth in the back, buy a T-shirt for instant cool points and follow its social media feeds to stay up to date on its fresh offerings. 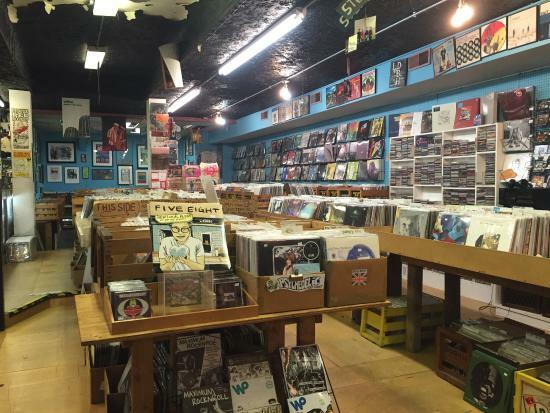 This sweet and sunny shop in Decatur is a place packed to the rafters with pre-loved vinyl. While you’ll find some jazz, blues and R&B, rock ‘n’ roll is really what keeps the doors open at Ella Guru. Owner and operator Don Radcliffe is the Mr. Rogers of record stores, always delighted to shoot the breeze about bands, classic albums and the music industry with no trace of ego. Ella Guru is the perfect place for a brand-new blue-jean baby wanting to start a collection of classics. Whenever I delve into the pages of my dog-eared copy of Nick Hornby’s classic novel High Fidelity, I imagine Wax n’ Facts when the record store “Championship Vinyl” is mentioned. This cozy and iconic record store is bursting at the seams with every musical genre you could imagine. 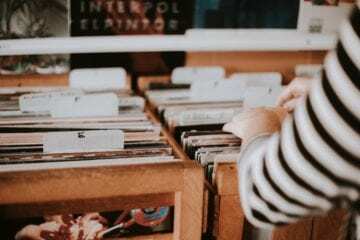 It’s fantastic for finding CDs and music merch, as well as used vinyl, and you can dig in the crates to your heart’s delight for a few minutes or a whole afternoon. The staff will leave you alone to get on with it unless you start a conversation. Beyond the boxes of records you can score for a buck, past the sun-bleached obituary newspaper wallpaper, Wuxtry is a labyrinth of pressed wax. Rolling Stone magazine named this Decatur delight as one of its top 25 favorite record shops in the country in 2010 (there’s also one in Athens, where Peter Buck worked and met Michael Stipe before they formed R.E.M. ), and it’s no surprise to any of the shop’s adoring patrons. 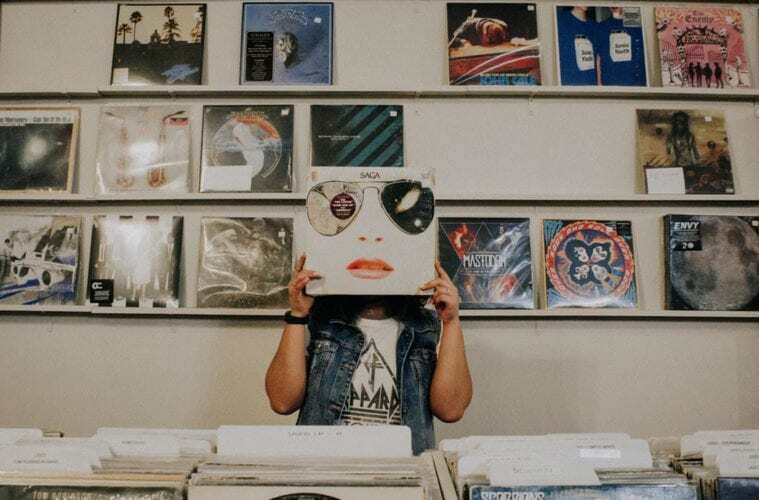 Wuxtry has been trading and selling music since 1976, and it boasts the biggest selection that we’ve seen in the city of new and used vinyl. 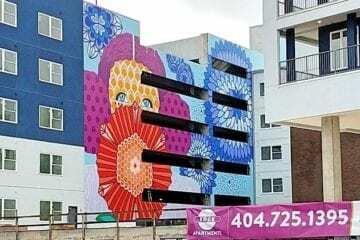 The bounty is plentiful in this Buckhead brick-and-mortar. So if you’re searching for soul, ready for some R&B, perusing for pop or in hot pursuit of indie presses, it’s got you covered. Fantasyland also has an incredible selection of music DVDs, CDs and rock ‘n’ roll collectibles, so don’t sleep on those specialty items. You might even run into Andre 3000, Eric Clapton or Elvis Costello, as they’ve all been seen searching through the Fantasyland stacks.